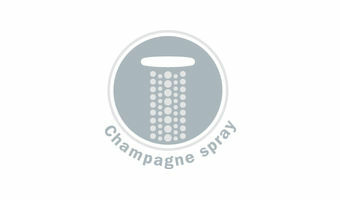 Enriched with air for bigger and softer water droplets, GROHE Champagne spray is a celebration of efficient showering luxury. More air means less water to create a fulfilling and gentle showering experience. It is as well the ideal spray for washing your kids.